It certainly seems that WWE has tapped into something that will give Roman Reigns an advantage as he trails the course to WrestleMania. Giving Reigns an aggressive edge is something that was necessary and a must in efforts to make his rematch with Brock Lesnar something fans could look forward to. Aggression is also a trait that can help Reigns evolve into a character that he was always meant to be. While fans such as myself feel like that it could be too late, perhaps that is an idea that has yet to be determined. A character make over is long overdue for the former WWE Champion, whose path to WWE immortality has been marred and mishandled time and time again. However, Reigns’ booking prevailed against the odds whether fans liked it or not. Okay, its Vince McMahon’s company so he can do what he wants. However, making it believable has to work this time around. Tapping into the natural-born traits of Reigns was a smart decision. As a Gemini, Reigns’ personal characteristics seeps from his pores that rides the fine line of confidence and cockiness. His accomplishments earn that aggressive defiance that should have been a part of Reigns’ repertoire all along. In the past, Reigns’ mic work suffered because the lines he was reciting simply just wasn’t him. We would all like to forget the horrendous “Jack and the Beanstalk” promo, or worse, “Sufferin’ Succotash”. 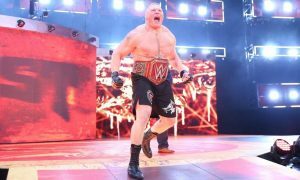 Calling out Lesnar’s booking privileges and confronting Vince McMahon are instances where Reigns can gain momentum in the long run. Alexa Bliss called out Lesnar’s lack of defenses weeks back, which I felt dampened Reigns’ promo when he had his chance to do it. However, WWE booking made up for it when Reigns confronted McMahon followed with the kayfabe suspension. Reigns boldness backs his actions up. Call it ruthless aggression or even defiance, but let it be known that this Roman Reigns is what the company needed all along. This must continue post-WrestleMania. If the story of Reigns dethroning Lesnar comes to fruition, his attitude must further the cause of being the top guy. Let him shoot from the hip, he’s had enough practice between his feud with John Cena to present time. Reigns has to run with it and remain diligent with the newfound assertiveness. Even if he taps in to the throwback of the Shield days, it only serves Reigns better. Fans know he is the muscle, and they will take him seriously if that attitude of being the Big Dog comes like it should with confidence and no apologies. They don’t want the jokes, fans want to see Reigns tear apart the set a’la Braun Strowman if he has lost a high profile match. The reaction to Reigns has seemed to likened over recent weeks, and that is a good thing. Simplicity is the key here, with no overthinking on what comes next. Keep it simple, let it flow and the rest could work itself out. Reigns is polarizing to say the least, but his projected evolution will give everyone what they have wanted for the longest time. It may be too early to say that WWE finally got it right with Roman Reigns, but right now, fans can enjoy the ride en route to New Orleans.